St Petersburg business forum attracts businessmen and women from everywhere ! | SNinternational. St Petersburg business forum attracts businessmen and women from everywhere ! The recent forum in St. Peterstburg attracted a wide range of men and women from top companies in the world who all seek to trade with this more open Russia and billions of dollars of new business was created to the betterment of all countries. Vladimir Putin took part in the plenary session of the 19th St Petersburg International Economic Forum. The session’s motto was Time to Act: Joint Efforts for Stability and Growth. 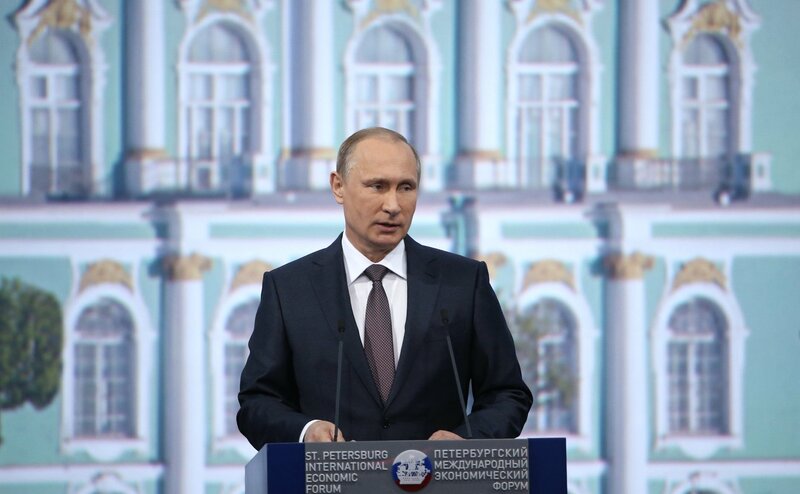 Speech at the 19th St Petersburg International Economic Forum’s plenary session. It is a pleasure to welcome you all to this International Economic Forum in St Petersburg, a city which throughout its history has always been a symbol of Russia’s openness and desire to draw on the best of world practice, cooperate, and move forward together. First of all, I would like to thank all of the politicians and businesspeople attending this forum for their interest and confidence in our country. Ladies and gentlemen, friends, we see in you serious long-term partners, and it is for this reason that, as is tradition, we always speak with frankness and trust at the St Petersburg Forum about our achievements and new possibilities, and also, of course, about the problems and difficulties we encounter, and the tasks we are still working on. I saw many of you here a year ago. Over this last year, the global and Russian economies have changed, and in some areas, these changes have been very dramatic. Russia’s economy now faces restricted access to the global capital market, and then there is the drop in prices for our main export goods, and the small decrease in consumer demand, which had previously been an impetus for economic growth. True – here, I agree with the participants in the yesterday’s discussions at the forum – demand is starting to recover again now. Looking at energy prices, on which our economy is still very dependent, unfortunately, I remind you that the average price for Urals brand oil in 2013 was $107.9 a barrel. In 2014, it dropped to $97.6 and over January-May this year, was at $56 a barrel. According to Rosstat [Russian Statistics Agency], Russia’s GDP contracted by 2.2 percent in the first quarter of 2015 compared to the same period in 2014, and industrial output was down by 1.5 percent over January-April 2015. What I want to note, however, is that by the end of last year, as you know very well, people were predicting that we were in for a very deep crisis. This has not happened. We have stabilised the situation, absorbed the negative short-term fluctuations, and are now making our way forward confidently through this difficult patch. We can do this above all because our economy had already built up sufficient reserves to give it the inner solidity it needs. We still have a positive trade balance and our non-raw materials exports are increasing. Let me give a few examples to illustrate these words. Physical volumes of non-raw materials exports increased by 17 percent over the first quarter of 2015, and exports of high value-added goods came to nearly $7 billion in the first quarter, which is up by nearly 6 percent in value terms and by 15 percent in terms of the physical volumes. We have kept inflation under control. Yes, it did spike following the ruble’s devaluation, but this trend then slackened off. We saw prices go up quite sharply over the first three months of the year (by 3.9 percent in January, 2.2 percent in February, and 1.2 percent in March), but in April, inflation rose by only 0.5 percent. That the trend is decreasing now is clear. We can see this. Our budget is stable. Our financial and banking systems have adapted to the new conditions and we have succeeded in stabilising the exchange rate and holding on to our reserves. Let me stress too that we did not resort to any restrictions on the free movement of capital, just as was the case in 2008 and 2009. The federal budget deficit in January-May 2015 came to 1.48 trillion rubles, which represents 3.6 percent of our GDP. We expect that the deficit will reach 3.7 percent of GDP for the year as a whole. This is in line with the budget law currently in force. Our gold and currency reserves, which I just mentioned, come to more than $300 billion. I was speaking with Elvira Nabiullina [Governor of the Central Bank] just before, and, according to my information, our reserves came to $361.6 billion as of June 5. They are very slightly lower now, because some money has been used. At the same time, the Government Reserve Fund came to $76.25 billion or 5.5 percent of our GDP as at June 1, 2015. Our second reserve fund, the National Welfare Fund, had reserves of $75.86 billion, again, 5.5 percent of GDP. We have prevented a jump in unemployment, which currently stands at 5.8 percent of the active population. I remind you that during the 2008–2009 crisis, the unemployment rate rose to 8.3 percent. The imposition of sanctions forced us to considerably step up our import replacement efforts. We have made significant progress in a number of areas and have achieved some notable results. We have tremendous potential in our engineering and petrochemicals sectors, in light industry, the processing sector, pharmaceuticals, and a number of other sectors. Our agriculture sector’s results are a clear example of what we can achieve. Of course, we still have a lot of work to do in this sector too, but our dairy production, for example, was up by 3.6 percent over January-April 2015, compared to the same period in 2014. Production of butter increased by 8.7 percent, cheese by slightly more than 29 percent, fish and fish products by 6 percent, and meat by 12–13 percent. The import replacement programme’s aim is not to close our market and isolate ourselves from the global economy. We need to learn how to produce quality, competitive goods that will be in demand not just here in Russia, but on the global markets too. Ultimately, our goal is to make fuller and more effective use of our internal resources to resolve our development tasks. Let me repeat the point that we are responding to the restrictions imposed from outside not by closing off our economy, but by expanding freedom and making Russia more open. This is not a slogan; this is the substance of our actual policies and of the work that we are doing today to improve the business environment, find new partners, open up new markets, and take part in big integration projects. I note that more than 60 companies with foreign participation have started up practical operations in Russia over just this last year alone. Right now, while this forum is taking place, several companies are opening their doors, including here in St Petersburg. There is a pharmaceuticals company, a company producing gas turbines as a joint venture with foreign partners, and so on. I want to thank all of our partners who, despite the current political problems, continue to work in Russia, invest their capital and technology, and establish new businesses and create new jobs here. Friends, thank you very much. The timely measures that we took to support our economy and financial system have worked overall. Now, we are once again concentrating our focus on resolving the systemic tasks on our long-term development agenda. Our task is to ensure sustainable growth, make our economy more effective, raise labour productivity, and bring in new investment. Our priorities are to improve the business climate, train the specialists we need for the economy and public administration, and education and technology. I would like to say a few more words about each of these issues. Let me start with improving the business climate and making Russia’s jurisdiction more competitive. Our aim is to offer the freest and most predictable and favourable conditions and opportunities for investors. We want to make it profitable to invest in Russia. We set the firm goal for the coming four years of settling tax rates that will remain stable and not increasing the tax burden on business so that companies can plan their work for the medium term. We will stick to these decisions no matter what the external situation or the burden on our budget. You can see from the figures I cited just before that our reserves are sufficient for us to be able to carry out these policies. At the same time, we are creating new incentives for new developing companies. In this respect, let me remind you that we decided to introduce tax holidays for individual entrepreneurs, offer small and medium-sized business special tax regimes that significantly reduce their tax burdens, and give tax breaks to greenfield industrial companies. Yesterday, I discussed with the heads of our industrial companies a number of issues that we most certainly do face. The proposal was made to offer tax breaks of this kind not just to greenfield projects, but to all new investment. We will certainly examine these proposals. Let me add, that capital and assets returning to Russia from abroad are also exempted from tax payments, and their owners are fully guaranteed from any kind of prosecution. At the same time, we will take steps to make Russian companies and their offices abroad more transparent. We have already made the necessary amendments to our laws. Let me stress that these provisions are fully in keeping with the decisions made by the G20, FATF and other international organisations. Furthermore, as part of our national entrepreneurial initiative, we have thoroughly updated the federal laws regulating conditions for doing business. The authorities and the regulatory and supervisory agencies are changing their approach to working with businesspeople. It is becoming more comprehensible, open and transparent. Let me note that starting in 2016, small businesses that have never had any serious violations of the rules in the past will be freed from inspections for a three-year period. We realise, of course, that for our national jurisdiction to be competitive, we need to keep moving ahead and make constant improvements. At the same time, we also need to analyse the effectiveness of the measures we have already taken. This makes it particularly important to have effective channels for getting feedback from business. I therefore ask the Agency for Strategic Initiatives and the main business associations to analyse how the laws are enforced and study the best practice around the world, and if need be, propose new decisions. The national regional investment climate rating also has a very big part to play. The rating is not a goal in itself of course, but will provide a working instrument for identifying and spreading best practice in the regions to the country as a whole. Incidentally, the initiative to develop this rating came from our main business associations. What distinguishes this project is that the businesspeople themselves assess the state of the business climate, the quality of public administration and so on. More than 200,000 businesspeople throughout Russia have taken part in the surveys this year. Some of the positive examples have already been mentioned during the discussions here, but I would like to take the opportunity to name them once again. I think this is worth it. They include Kaluga Region, Tatarstan, Belgorod Region, Tambov Region, Ulyanovsk Region, Krasnodar Territory, Rostov Region, Kostroma Region, Republic of Chuvashia, and Tula Region. As I said, this rating will be a tool for helping to improve the quality of management at all levels of power. This is one of the key areas for our development today. In this regard, the first point I want to make is that we need to develop a whole class of public administrators who know how to work flexibly, take a modern approach, and understand business’ needs when it comes to the business climate and the public administration system overall. A mechanism for ongoing improvement of public management personnel will be one of the most important steps in work in this area. We also plan to establish a centre for exchanging best practice in public administration and developing the business climate in the regions at one of our top universities. This centre will be a good platform not just for improving qualifications, but also for exchanging experience, coming up with new ideas, and developing horizontal ties between the members of different regional management teams. Second, I think it would be a good idea to set up special headquarters – project offices, if you will – in each region. They will become a kind of managing office for development, helping to introduce the best mechanisms for creating a favourable investment climate. A comfortable business environment is one of the essential conditions for developing a mass of small and medium-sized businesses working in the non-raw materials sectors. This is a real road forward to economic diversification and job creation. Our goal is for small and medium-sized businesses to conquer the domestic market and develop their export potential. We will therefore develop close coordination between the institutions for supporting industry and stimulating exports. They include the recently set up Industrial Development Fund, the Far East Development Fund, the Russian Direct Investment Fund, project financing mechanisms, and also the Russian Export Centre, where Russian companies can receive a whole range of services to support their goods on markets abroad. Also, following a proposal from the business community, we are setting up a corporation to develop small and medium-sized business. Businesses will be able to obtain all of the necessary financial, legal and methodological support, including help in getting access to public procurement tenders and tenders by state-owned enterprises. Essentially, we are consolidating the support mechanisms for small and medium-sized business and we hope that this will bring us real results. Friends, anyone who wants to take the lead in the world today has to put their focus on leaders in business, management, and, of course, developing technology and education. We have done a lot to strengthen our country’s scientific and technology resource base, bolster cooperation between the scientific community, the education sector, and industry, and get new developments into practical implementation in actual production. Over the near future, we will undertake an extensive technological upgrading of our companies in the raw materials and non-raw materials sectors and in agriculture. From 2019, a new technical regulation system and strict environmental standards will encourage gradual transition to the best available technology. Essentially, companies will be required by law to modernise and carry out ongoing technological development. One of our most important tasks today is to give our companies incentives to invest in developing technology here in Russia. I ask the Government to propose additional decisions in this area. We also need to make an inventory of the current mechanisms for supporting applied research and getting new developments into practical use. We need to look at how the incentives, including tax breaks, are working. As for the development institutions, they need to focus clearly on facilitating our technological modernisation efforts. We are launching projects that will provide our companies with a powerful technological resource base not just for today but also for tomorrow. Our technological planning horizons are broadening substantially. Russian companies must take key positions in sectors and markets that will shape the economic future and the way of life of people in 20–30 years’ time, like the way the IT sector has dramatically changed our own lives over these last 20 years. To achieve these goals, we have launched the national technology initiative, with the participation of prominent scientists and the high-tech business sector. This is a long-term project, of course, but within the next 2–3 years, we should already have new scientific laboratories, new companies, and educational programmes for training personnel able to handle the most modern tasks and work with the latest technology. There is another very important area I want to mention. At the recent congress held by Delovaya Rossiya, one of our biggest business associations, the idea came up of organising an effective system for foreign technology transfers. We have successful experience of foreign technology transfers in the pharmaceuticals, automotive, and consumer goods manufacturing industries. It is important to give this work a systemic basis and get the development institutions’ resources involved. I ask the Government and the business associations to draft specific additional proposals on this matter, including on establishing the optimum format for cooperation between the authorities and business in the area of technology transfers. We realise, of course, that the quality of our education system will play a decisive part in developing our country and making it more competitive. Our colleagues from foreign investment companies, who I met with yesterday, said the same thing. Training for specialists must prepare them not only for today’s demands but also take into account the best global practice and the development prospects for new technology and markets. Our young people, students and schoolchildren, have won the most prestigious competitions in technical and scientific fields. To give just one very recent example, students from St Petersburg National Research University of Information Technologies, Mechanics and Optics have proven repeatedly that they are unrivalled in the world today. This year, the university’s team once again confirmed its absolute leadership and was a long way ahead of the world’s top programming schools. The university’s team is the only team in the world to have won the student programming championships six times. I want to congratulate the team once again on this success. A lot depends, of course, on the heads of the universities. We need new leaders here, people with deep knowledge of production, people who know industry’s needs and follow the technological development trends. Our companies propose that we build up a reserve of management personnel for universities training our engineering and technical specialists. I think this is a good proposal and we should carry it out. At the same time, the business community should be more active in universities’ supervisory boards and boards of trustees and should work closely with teaching staff and take part in their training and ongoing education programmes. This is in business’ own interests. Modernising and improving the quality of secondary vocational education and giving it stronger links to actual production are very important tasks. Many regions are already actively implementing with success a programme of dual education that combines time spent in actual companies with theoretical training. It is no coincidence that the regions that have made the greatest progress in developing their secondary vocational education systems are also the leaders in the regional rating and overall are demonstrating rapid socioeconomic growth. The engineering professions and the trades require very high levels of skills today. This requires us to develop a modern system of professional standards. The employers and business associations are also playing a big part in this work through the Presidential National Council for Skills and Qualifications. I think we need to summarise our experience, combine our efforts and build an integral system for training personnel, taking the best world practice into consideration. This system should cover every link, from additional education opportunities for developing children’s skills in technical fields, to secondary vocational education, higher education in engineering, and national and international competitions for the various trades. Another important areas of our work for the coming years is developing mechanisms for accompanying and supporting talented children so as to help them develop their potential in full and achieve success here at home, in Russia. As you know, we are launching one such project. It is underway now in Sochi. This is the Sochi centre for children from throughout the country who show exceptional talent in sport, the arts, and science. This will be another important part of the Sochi Olympic legacy. The global economic development map is changing literally before our eyes. Asia-Pacific Region nations such as China, Japan, South Korea and ASEAN nations already account for one quarter of the global economy. Over the next decade, it is these markets that will become the primary source of growth in global demand for goods and services. With all the fluctuations occurring in the world – political and economic – this trend is inevitable. It makes sense that together with our Eurasian Economic Union partners, we strive to improve ties with the APR, eliminating barriers to trade and investment. This year, the Eurasian Economic Union signed its first free-trade zone agreement with Vietnam. Russian companies will be able to supply a whole range of goods duty free. We are broadening our cooperation with the People’s Republic of China in the interest of creating a common economic space. This May, we signed a joint statement on combining the development of the Eurasian Economic Union and the Silk Road Economic Belt. In essence, we are talking about new approaches to cooperation between the Eurasian Economic Union and China, about broadening cooperation and implementing major joint infrastructure projects, about simplifying trade, and strengthening cooperation through various financial instruments. Strengthening partnership with APR states is a highly important element of our work to develop Russia’s Far East. We are creating the most free and comfortable conditions possible for placing capital and launching production. Investors will get unique opportunities to work on the Russian market and, importantly, a good base for direct access to the broad, growing APR market. Even now, priority development areas are being created in the Far East with a whole range of tax and other benefits. We are launching a system of state support for major investment projects. At the same time, we are prepared to offer even more flexible and advanced mechanisms. The Government has already prepared a draft law on creating a free port in Vladivostok. The draft law applies to all key ports in Primorye, from Zarubino to Nakhodka, and 13 districts that are home to about 75% of the territory’s residents. Free port residents will receive ample benefits. These are not just tax benefits, but also a simplified visa regime, the implementation of a free customs zone, and simplified border control procedures. This September, the first Eastern Economic Forum will be held in Vladivostok, which will include a detailed presentation of our proposals to foreign investors. I want to repeat again that we strive to cooperate with everyone – everyone who is ready to work on the basis of equality and mutual respect, and wants to implement mutually beneficial projects. I am confident that the trade and economic partnership with Latin American nations and BRICS states also holds enormous potential. The BRICS summit coming up in early July in Russia will certainly contribute to broadening our business contacts. I want to stress that active cooperation with the new centres of global growth does not in any way mean that we intend to give less attention to the dialogue with our traditional western partners. I am confident that this cooperation will certainly continue. Ladies and gentlemen, Russia is open to the world, to economic, scientific and humanitarian cooperation, and contacts with civil society and business representatives from around the world. I am confident that this policy, this dialogue, is in our common interest and it will help maintain the trust that serves as the foundation for our work together. We face major challenges and we will develop, enter new markets, create modern technology, and implement large-scale projects. We will do it together with entrepreneurs, citizens and new leaders who are ready to work for Russia and for its development. That is why we are absolutely sure of our success. American television talk show host and journalist Charlie Rose: We will have an in-depth discussion on a number of economic issues that were raised with our business representatives. Mr President, I would like to begin by saying that it is a pleasure to be here in your home city, the place where you began your political career. This is also a historically important city – Russia was born here as an empire. This is a very important place. There are some very serious issues that can be resolved only if Russia takes action, if you take part. We are talking about economic policy, foreign policy, Ukraine, the Baltic states, Europe, Syria, Iran, China, and Russia. There are very many questions, there are problems, and there are conflicts. Russia has to play its part in finding solutions to many problems. There is the issue of borders, the issue of Russia and Ukraine. Could you help us understand as you see it: where are we? How did we get there and where do we go from here? Vladimir Putin: First, I would like to thank you for agreeing to work with us today and moderate this meeting. This forum is called the St Petersburg International Economic Forum. I would like us to focus on economic issues. However, I would agree with you that without resolving a number of acute critical situations it is hard to move along in the economic sphere. We have discussed the developments in Ukraine on numerous occasions, and I understand that this is unavoidable. However, you know, we either keep talking about Ukraine all the time, or a few years ago we were talking about the crisis, say, in Iraq and some other countries. We keep talking about things that already happened, but we never discuss why they happened. And if you do want to talk about this and it does seem important, I would prefer to begin with precisely that. Why did we arrive at the crisis in Ukraine? I am convinced that after the so-called bipolar system ceased to exist, after the Soviet Union was gone from the political map of the world, some of our partners in the west, including and primarily the United States, of course, were in a state of euphoria of sorts. Instead of developing good neighbourly relations and partnerships, they began to develop the new geopolitical space that they thought was unoccupied. This, for instance, is what caused the North Atlantic block, NATO, to go east, along with many other developments. I have been thinking a lot about why this is happening and eventually came to the conclusion that some of our partners seem to have gotten the illusion that the world order that was created after World War II, with such a global centre as the Soviet Union, does not exist anymore, that a vacuum of sorts has developed that needs to be filled quickly. I think such an approach is a mistake. This is how we got Iraq, and we know that even today there are people in the United States who think that mistakes were made in Iraq. Many admit that there were mistakes in Iraq, and nevertheless they repeat it all in Libya. Now they got to Ukraine. We did not bring about the crisis in Ukraine. There was no need to support, as I have said many times, the anti-state, anti-constitutional takeover that eventually led to a sharp resistance on the territory of Ukraine, to a civil war in fact. Where do we go from here? I would not like to get too deep into the subject here. Today we primarily need to comply with all the agreements reached in Minsk, the capital of Belarus. I would like to reiterate that we would never have signed this document if there had been anything we were not satisfied with. Now that it happened and we signed it, we will work to achieve its full implementation. At the same time, I would like to draw your attention and the attention of all our partners to the fact that we cannot do it unilaterally. We keep hearing the same thing, repeated like a mantra – that Russia should influence the southeast of Ukraine. We are. However, it is impossible to resolve the problem through our influence on the southeast alone. There has to be influence on the current official authorities in Kiev, which is something we cannot do. This is a road our western partners have to take – those in Europe and America. Let us work together. Charlie Rose: What do you want from the Kiev Government, what should they do? Vladimir Putin: We do not want anything. The people of Ukraine should want the Ukrainian government to do something, or not to do. We believe that to resolve the situation we need to implement the Minsk agreements, as I said. The elements of a political settlement are key here. There are several. The first one is constitutional reform, and the Minsk agreements say clearly: to provide autonomy or, as they say decentralisation of power, let it be decentralisation. This is quite clear, our European partners, France and Germany have spelt it out and we are quite satisfied with it, just as the representatives of Donbass are. This is one component. The second thing that has to be done – the law passed earlier on the special status of these territories – Lugansk and Donetsk, the unrecognised republics, should be enacted. It was passed, but still not acted upon. This requires a resolution of the Supreme Rada – the Ukrainian Parliament, which is also covered in the Minsk agreements. Our friends in Kiev have formally complied with this decision, but simultaneously with the passing by the Rada of the resolution to enact the law they amended the law itself – article 10, I believe, which practically renders the action null and void. This is a mere manipulation, and they have to move from manipulations to real action. The third thing is a law on amnesty. It is impossible to have a political dialogue with people who are threatened with criminal persecution. And finally, they need to pass a law on municipal elections on these territories and to have the elections themselves. All this is spelled out in the Minsk agreements, this is something I would like to draw your attention to, and all this should be done with the agreement of Donetsk and Lugansk. Unfortunately, we still see no direct dialogue, only some signs of it, but too much time has passed after the Minsk agreements were signed. I repeat, it is important now to have a direct dialogue between Lugansk, Donetsk and Kiev – this is missing. Finally, they have to begin the economic recovery of these territories, of course. I would like to repeat something I have already said many times: the excuse that ‘we do not have the money’ does not work here. If the current authorities in Kiev believe that this is Ukrainian territory inhabited by Ukrainian citizens who have the right to receive, say, disability benefits or the pensions that they earned under the existing Ukrainian law, the Kiev authorities cannot refuse to pay, they simply have no right to do so. They are violating their own constitution. All this has to be done, and not in words, but in practice. Charlie Rose: As you may know, the United States of America believe that you are arming the separatists, you encourage them, you engage the Russian Armed Forces to fuel the conflict. There is strong concern that this could lead to a new cold war. Vladimir Putin: You know, it is not local conflicts that cause a cold war, but global decisions – like the withdrawal of the United States from the antimissile defence treaty. This is a step that pushes us all towards a new spiral in the arms race because it changes the global security system. As for regional conflicts, the conflicting sides seem to always – and I stress, always find weapons. This is true of eastern Ukraine as well. I would like to say that if this situation is resolved by political means, no weapons will be necessary, but it does require goodwill and a desire to enter into direct dialogue, and we will assist in this. What we cannot do and would never agree to is for someone somewhere, anywhere, to proceed from a position of force, first using the police (they call it militia there), then special services, and then the armed forces. Before the army units and the so-called battalions – armed nationalist units – appeared on those territories, there were no weapons there; and there still would have been none had they tried to resolve the situation by peaceful means right from the start. Weapons appeared there only after they started killing people using tanks, artillery, multiple launch rocket systems and aviation. That gave rise to resistance. Once an attempt is made to resolve the issue by political means, the weapons will be gone. Charlie Rose: What are the acceptable borders for Ukraine, for Russia? What borders do you find acceptable? Vladimir Putin: What do you mean when you speak of borders: geographical borders, political borders? 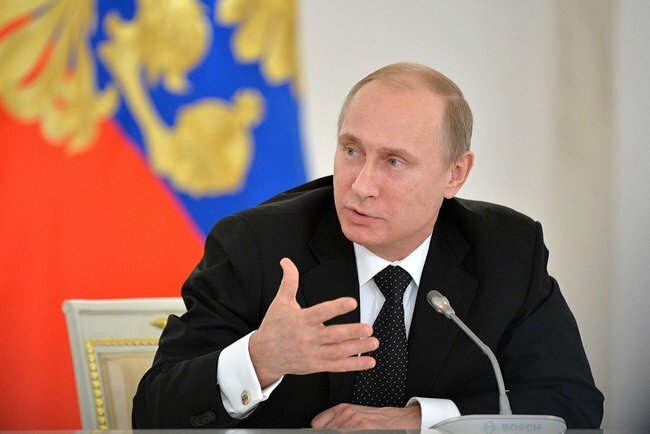 Vladimir Putin: Regarding cooperation, we have always said and continue to say – there is nothing new here – that with all the current difficulties, I have always thought that Russians and Ukrainians are one people, one ethnic group, at least; each with their own peculiarities and cultural characteristics, but with a common history, a common culture and common spiritual roots. Whatever happens, in the long run Russia and Ukraine are doomed to a common future. We have proceeded right from the start from the idea that Ukraine has the right to make its own choice – civilizational, political, economic or any other. It is no secret – we all know that Russia actually initiated the disintegration of the Soviet Union and providing sovereignty to all these countries. Nothing has changed since then. However, apart from the ties I mentioned earlier, ones that took shape over decades, very specific things in the present hold Russia and Ukraine together: we have a common engineering infrastructure, a common energy infrastructure, a common transportation infrastructure, common regulations and so on and so forth. We are held together by the ability to speak the same language. Now, this has to do with Russia and our interests. We have always proceeded from the notion that we will resolve everything, even disputes, by means of negotiations – and it is only natural for neighbours to have disputes. However, if some third parties get involved in these negotiations, we expect them to take our interests into account as well, rather than simply offer us a choice. If you are asking what we expect in the political sense – we expect a comprehensive, trust-based and equal dialogue. Charlie Rose: I would like to get back to Ukraine, but let us talk about Russia’s relations with a whole number of countries, including the United States and China. Characterise the relationship with the United States: what’s wrong with it? What’s right with it? What does it need? Vladimir Putin: In other words, where we have some positive developments and where we have problems. I will begin with the problems. The problem is that we are being forced to accept other’s standards and solutions without consideration for our understanding of our own interests. We are actually being told that the United States knows best what we need. Let us decide what our interests and needs are ourselves, proceeding from our own history and culture. Charlie Rose: How exactly is the United States trying to decide what you need? Vladimir Putin: By interfering in our internal political processes, including by means of funding the non-public sector, by imposing international security decisions. For instance, I already mentioned the issue we came across first – Iraq, and this immediately cooled off our relations. Do you remember the statement ‘If you are not with us, you are against us’? Do you call this dialogue? This is an ultimatum. You should not use ultimatums when talking to us. Now over to the things that unite us – these do exist. We are united by the desire to eventually combat common threats, including terrorism, the expansion of drug threat and a very dangerous tendency towards the proliferation of weapons of mass destruction. There are also issues of humanitarian interaction, like combatting severe infections that hit entire regions of the world. There are issues dealing with the global economy, and this has to do with the sector that we have a direct significant influence on – energy. There are also other spheres where we are cooperating quite successfully and I expect that this would serve as the basis that would make it possible for us to restore our previous relations with the United States and move on. As for the People’s Republic of China, the level, nature and confidence of our relations have probably reached an unprecedented level in their entire history. For 40 years – I would like everyone to hear this – for 40 years we have been negotiating border issues. We found compromises and solutions; we met each other halfway and closed the issue. 40 years! We have not managed to resolve these issues with all countries. Besides, we are developing economic ties, we are actively cooperating within international organisations and the United Nations Organisation. We are creating new unions that are developing quite actively and are becoming attractive to many other countries: this is the Shanghai Cooperation Organisation, for instance. It was initially created to resolve border issues after the disintegration of the Soviet Union, but it then developed and now it is an organisation that other countries would like to join. Most probably at the coming summit in Ufa (our next summit is in Bashkiria) we will decide to accept India and Pakistan. We are also developing other forms of cooperation – BRICS, for instance. In my address, I spoke of the integration of our efforts within the Eurasian Economic Union and the Silk Route Economic Belt. In other words, we are developing our relations in this area too. China is our major trade and economic partner. Our relations are developing very effectively. Charlie Rose: Some say this is a natural relationship because China has the cash and Russia has natural resources, so there is a natural affinity right there. Vladimir Putin: You should read what American analysts write. I am sure you do and are only pretending not to. American analysts, politologists and economists say the United States is also turning towards China. China is a growing economy. If anyone has any concern over a decrease in their growth rates, the First Deputy Chairman of the State Council of China said that 7 percent is the highest economic growth in the world in any case. Not only Russia. Why? The whole world is looking at Asia, and Europe is also looking for opportunities to develop relations, while for us this does come naturally – we are neighbours and this is a natural affinity. Besides, there are certain values that we jointly uphold on the international arena quite successfully, like equal access to resolving key international issues. Charlie Rose: Is it a more natural affinity than Europe and the United States? Is China more in the future a place that Russia feels more comfortable with than Europe or the United States? And could that lead to some anti-western alliance? Vladimir Putin: There is no country, including China, against which we or China, as far as I understand China’s policy, would build our policy. We do not form alliances ‘against’, we build alliances in favour of things – in favour of implementing our national interests. I would like to stress: you are expanding the North Atlantic bloc, NATO. The Soviet Union no longer exists, while the bloc was set up to counterbalance the Soviet Union. The Soviet Union is gone, the Warsaw Treaty is gone, while NATO not only exists, it is expanding. You are doing it, while China and we are not creating any blocs, we do not have a bloc mentality, we are trying – and successfully, it seems – we are trying to think globally, not only sharing responsibility, but also trying to find mutually acceptable solutions and compromise. We never proceed from the position of force. We always search for solutions, solutions within the process of negotiations. Charlie Rose: We have read much about you and your country; there are three things that I constantly see. One is a sense of warning to be respected, another is to have an equal conversation, a third is a sense, perhaps in your history, a great concern about borders and having a buffer zone for Russia. Am I accurate in that? Vladimir Putin: You know, I hear this all the time: Russia wants to be respected. Don’t you? Who does not? Who wants to be humiliated? It is a strange question. As if this is some exclusive right – Russia demands respect. Does anyone like to be neglected? It is actually not about respect or the absence thereof – we want to ensure our interests without in any way harming our partners. However, we are counting on a constructive, direct and substantive dialogue. When we see an absence of dialogue or an absence of desire to talk to us, this naturally causes a certain response. I will tell you an interesting story that has to do with the so-called eastern partnership that our colleagues in Western Europe are promoting. This idea, incidentally, is actively supported in the United States as well. Our first reaction to the idea of an eastern partnership was quite positive. Why? Because we proceeded from the notion that Russia and the East European countries are held together by a thousand ties, including economic ones. These are common technical regulations, as I said, common infrastructures and so on. Therefore, we proceeded from the idea that if Europe started working with them, pulling them in in some way, this would inevitably lead to some constructive interaction with Russia. And we would work together. We would argue over some things, agree on others, but we would be arriving at some common solutions that would allow us to build a new economic and, eventually, humanitarian and political space. Unfortunately, none of this ever happened. How did the crisis in Ukraine that you began with occur: Ukraine was offered to sign the association agreement. Wonderful. However, everyone knows that Ukraine is a member of the free trade zone within the CIS (which Ukraine, actually, wanted to get established). This zone offers lots of preferences and benefits. It took us 17 years to negotiate the terms of our accession to the WTO. Now, in one move, they decided to enter the customs territory of the Russian Federation through Ukraine. Is that the way things should be done? And when we suggested holding consultations, we were told it was none of our business. Is that the way issues should be resolved, specifically where Russia is concerned? What has trust got to do with it? This is not about trust – it is about having our interests taken into consideration. Charlie Rose: Let me talk about a couple of places where there is a dramatic need for cooperation between the United States and Russia. One is Iran and the nuclear negotiations and the P5+1. Do you think there will be an agreement? And what kind of agreement do you want to see? Vladimir Putin: First, I want to stress what I see as the essential point here, namely that we have a common understanding with all participants in this process, including the United States and European countries, and Iran itself, I hope, on the fact that we all categorically oppose the spread of weapons of mass destruction. This is our position of principle and it is this that enables us to work constructively with the United States in this area. We are very pleased to see that the Iranians have also changed their position considerably, which has made it possible to reach the agreements we have today. We most certainly support these agreements. The only thing that I think would be counterproductive would be to deliberately undermine the agreements by putting demands on Iran that it cannot fulfil and that are not relevant to the main issue – the issue of non-proliferation. I hope, though, that things will not reach this point and we will sign the agreement soon. I think that [Foreign Minister] Sergei Lavrov knows better than me when it will be signed. Sergei Lavrov: When it is ready. I think the signing will take place soon. I met yesterday with the Director General of the IAEA, and what is most important of all here is that after the signing, the process of executing these agreements must begin, and this will take approximately six months. Just as important though, is for your country, the United States, to take a positive attitude towards these agreements and give them your support, to secure Congress’ support. We know the discussions currently taking place in the United States, and we know that the President has the power to sign these agreements himself, meaning they do not need to be ratified. This is not our affair and we cannot decide it. There are issues we cannot decide for the authorities in Kiev, and there are matters we cannot decide for the authorities in Washington. The ball is therefore in your court. But we hope that the US President will achieve a result that will most certainly go down as one of the biggest foreign policy achievements of his presidency. Charlie Rose: But do you believe that this agreement will go ahead, given what Mr Lavrov just said? Vladimir Putin: I do, and we are working towards this. We think it is absolutely essential to defuse the situation. It is equally important, though, for all of the regional powers to have the assurance that they will not end up confronting a worsening situation in the region or face threats. This is the situation we absolutely have to avoid. I stress that Russia seeks to develop good-neighbourly and friendly relations with Iran and with all the countries in this region. Charlie Rose: I have another foreign policy question before we turn to the economy and the issues a number of speakers raised. Syria is another matter very much on our minds today. Do you see any solution to the current situation? Russia supports Bashar al-Assad’s government and has done so for many years. Iran also supports Assad’s government. It seems as though the pendulum is swinging this way and that. What possible solution do you see? How can we end this terrible civil war that has created millions of refugees? When can we find a solution? Vladimir Putin: The sooner, the better. Let me repeat that our position on this issue is based on the fear that Syria could descend into the same kind of situation as what we see in Libya or in Iraq. You know, after all, that before the state authorities and Saddam Hussein himself were destroyed, there were no terrorists in Iraq. Let’s not forget this. People prefer not to talk about this today, but is it really so hard to see who created the conditions for terrorism to flare up in these places? After Iraq was invaded, the old authorities were all sent fleeing or were destroyed, and Saddam was hanged. And then we ended up with the Islamic State. Look at what is happening in Libya. It has ceased to exist as a state and is in the process of total disintegration. Even US diplomats have suffered losses there. We know the tragic events that took place there. The main issue, as we see it, is that we do not want to see Syria take this same road. This is our main motivation for supporting President Assad and his government. We think this is the right position. It would be difficult to expect us to take any other line. Moreover, I think that many would agree with our position on this issue. I mentioned Iraq several times. We know what is going on there. The United States supports Iraq, supports, arms and trains the Iraqi army. In two or three attacks, the Islamic State captured so many weapons, more than the Iraqi army probably even has. This includes armoured vehicles and missiles, though the general public is poorly informed about all of this. This was all just recently. The Islamic State is now better armed than the Iraqi army. And this has all happened with the United States’ support. The United States supposedly withdrew from Iraq, but our special services and the information we receive from Iraq itself indicate that thousands of US service personnel are still in Iraq. The results are deplorable and tragic. We do not want all of this to repeat itself in Syria. We call on our partners in the United States and Europe, but above all in the United States, of course, to make greater efforts to fight this absolute evil that is fundamentalism, the Islamic State and similar groups that essentially all have their roots in the well-known global terrorist organisations that have already launched repeated attacks against the United States itself. Our call is for political settlement, which should, of course, guarantee the regime’s transformation, and we are ready to discuss this matter with President Assad too. The UN just recently declared the importance of working together with President Assad to fight the Islamic State and other terrorist groups. We are ready to work with the [Syrian] President to ensure that the political transformation process can go ahead so that all people in Syria feel that they have access to the instruments of power, and in order to put an end to this armed confrontation. But we cannot achieve this from outside and through the use of force. This is the real issue. Charlie Rose: All right, but are you ready to call on President Assad to step down if this would make an alternative political solution possible or would help to fight the Islamic State, say? Vladimir Putin: Our moderator is a real American. I said, “without outside intervention”, and he asks me if we are “to call on President Assad to step down?” Only the Syrian people can do this. How can we ignore such basic things as this? As I just said, we are ready to engage in dialogue with President Assad about carrying out political reforms together with the healthy opposition forces. I think this is constructive and realistic. CharlieRose: Mr President, let’s come back to the economy. I have many questions. Here, we have Ronny Chichung Chan of Hang Lung Properties investment company, Mahmood Hashim Al-Kooheji, general director of Bahrain Mumtalakat Holding Company, and also president of YPF Argentina, Miguel Galuccio, with whom we will talk about energy. We all heard a lot about China here today. What opportunities do you see for building more profitable cooperation between China and Russia? President of Investment Company Hang Lung Properties Ronny Chan: As the President [Vladimir Putin] said, I think the economy is the key area for cooperation between China and Russia. As a businessman, I think that Russia and China are a match made in heaven. Russia is rich in natural resources, whereas China lacks natural resources but is growing fast. China has capital for buying natural resources. From an economic point of view, it would be hard to find two countries that complement each other better. The only remark I want to make is that I am sure that President Putin has a strategic vision for Russia’s relations with China, but Mr President, I am not so sure about your business community. I am not so sure that your businesspeople are ready to make use of the advantages the Chinese market offers. Just take a look around. How many Chinese are there here in the audience? I feel quite alone here on the stage. How many Russians are there in China? I don’t even know. Talking to my Russian friends about all of this over the last couple of days, I came to the conclusion that people here still see Asia as a place they would like to get hold of, but they are not ready to go and commit themselves economically there. President Putin said just now that China is one of the world’s big economic powers today. Mr President, I would like the business leaders present here today to show more readiness to engage in practical work with us. You mentioned financing, for example, which is essential for many Russian projects. Many companies are registered in Hong Kong, because the Hong Kong market is linked to the Shanghai market, and will soon be linked to the Shenzhen market too. The Shanghai stock exchange is the fifth-biggest in the world, the Hong Kong exchange is in sixth place, and Shenzhen is number eight. If we combine these three exchanges, we get the second biggest securities market in the world. Why not have Russian companies register in Hong Kong? This would help them in their work with China. I think this would be an excellent opportunity, Mr President. Vladimir Putin: I agree with my colleague that we need to give Russian-Chinese economic relations concrete substance and projects. I think too that we need to do this not just in big business, but also develop ties at the level of small and medium-sized businesses, so as to weave a natural and living fabric for working together in all different production sectors. In terms of individual countries, though, China is our number one trading partner. Our bilateral trade comes to $85 billion. Yesterday, I spoke about this with the First Vice Premier [Zhang Gaoli], and I discuss it regularly with President Xi Jinping. I think that over the coming years, we could take our trade to a figure of $200 billion. All of what you said just now is absolutely correct. We must proceed without haste, of course, take things carefully and ensure all the necessary conditions. This goes for both us and our Chinese partners. I said in my opening remarks that we do not place any restrictions on free movement of capital. Even during the difficult crisis of 2008 and 2009, and last year too, we did not restrict capital exports in any way. But we hope that our partners will offer the same conditions. The yuan is becoming an increasingly stronger regional currency. We all see that this is happening. But experts know that there is not enough free movement of capital. If steps in this direction go ahead, this will be major progress towards liberalising our relations. We understand very well that our Chinese partners also have to take a cautious approach, and they are the better judges of what measures they should take. The decision to carry out payments for our trade operations in our national currencies – the yuan and the ruble – is already a big step towards deepening and expanding our relations. The first yuan-ruble trading took place just recently, and we are sure that this will continue and develop, and will create new opportunities for work in the real sector of the economy. Overall, I agree with you. We need to keep moving in this direction and we shouldn’t focus just on agreements at the government level and just on decisions made by the sovereign funds and so on. Of course, this is all important, too, and creates a platform for broader format work. We are working on this and we will continue in this direction. Charlie Rose: Thank you. Next, we have Mr Mahmood Hashim Al-Kooheji, the general director of Bahrain Mumtalakat Holding Company. What investment opportunities do you believe exist in Russia, and what questions do you have? General director of Bahrain Mumtalakat Holding Company Mahmood Hashim Al-Kooheji: Please allow me to thank you, Mr President, for organising this forum and for inviting me to attend, because this gives us an opportunity to meet our partners in Russia. Mumtalakat is Bahrain’s sovereign fund. Like other sovereign funds, we have the opportunity to invest throughout the world. We feel that it is imperative to have sustainable growth and there should be potential for investments that will give us long-term stability and interest. We have investments in Europe, the United States and other regions. We are currently considering and analysing opportunities to invest in Russia. When you ask me about the Russian economy, I think that it is very promising and it has a very solid foundation. The reason I think this is because the Russian economy has a highly trained workforce, a highly educated workforce within the country. In addition, it has the necessary resources that support this workforce – this has been brought up extensively. So the Russian economy is a very large market, which makes it much simpler for us to find a niche. These three components allow us to feel confident that investments in Russia will be good market investments and will be long-term. Our fund tries to find partners that will allow us to work freely in the economy. I think, Mr President, your initiative in organising the Russian Direct Investment Fund is a very good idea and it is a major step because when we came to the Russian market, we found an institution, an organisation, that knows this market and works with it professionally and transparently. This is very important when we are selecting our partners. Any investment in the Russian economy allows us to find the necessary partner. This makes the Russian economy very appealing to us in the long-term. To my right is Miguel Galuccio from Argentina. As you know, Argentina and Gazprom have signed an agreement on working tougher on a gas field. What are the opportunities for joint work between the two states in the energy sector? President of YPF Argentina Miguel Galuccio: First of all, thank you very much, Mr President, for giving me the opportunity to participate in this forum. Energy is a very important direction for all South American nations, especially Argentina. We have extensive experience in economic growth, which our economy demonstrated over the past ten years. We are producing oil and gas – mainly gas. We have traditional natural resources, we also have natural gas and traditional energy resources. Moreover, we also have non-conventional sources of energy, which we are now beginning to develop. Our production volume has increased by 25 percent recently. We believe non-conventional energy sources can be very efficient, and their production can be very profitable. To meet this goal, we must make major investments into this sector, and we need other nations’ and companies’ technologies and know-how. We feel there are great opportunities arising in energy. We are engaged in strategic cooperation with Russian companies. Russia and Argentina have formed a wonderful relationship. We strive to develop the potential of our relations and work in various sectors. Our company has signed an agreement with Gazprom that will give us the opportunity to continue cooperating effectively in the future. We have signed a memorandum of mutual understanding, which is aimed towards the joint development of our country’s resource base. Charlie Rose: Do you have any other comments on this issue, as far as opportunities that are becoming available for both countries are concerned? It seems to me it would be very interesting to hear the points of view from different regions. We already talked today about the effect of sanctions. You feel the effect of the sanctions is overstated. Many people have said so. How do you view the opportunities and the need for further advancement of the Russian economy? What paths exist for this, in terms of the institutional framework, the rule of law and so on? Vladimir Putin: With regard to what was just said by our colleagues, as far as Argentina is concerned, President of Argentina Cristina Fernandez de Kirchner and I discussed the opportunity for cooperation in the oil and gas sector during her visit to Russia and my visit to Argentina. We agreed that our leading companies will engage in joint work. To be honest, I don’t know what happened next, but I was very glad to hear just now about the specific agreements to begin this joint work. Indeed, Argentina has enormous potential, and naturally, working together with a leading global company like Gazprom can give a very positive result. As for sovereign wealth funds, if I am not mistaken, the Bahrain sovereign fund is not only a partner of our Russian Direct Investment Fund, but also has an agreement that, I believe, your fund has 10 percent participation in all the projects by the Russian Direct Investment Fund – is that correct? Please note what our partners have agreed to. Automatically, as soon as the Russian Direct Investment Fund implements a project, the Bahrain fund automatically joins at 10 percent. This is a very high level of trust not only towards the Russian economy, but also towards the professionalism of the colleagues at the Russian Direct Investment Fund. I would like to ask everyone to welcome our partner and express words of gratitude for this trust. Things are not so bad as far as sanctions are concerned: there are upsides and downsides. This is a time when we are undergoing structural changes and it is genuinely possible to take steps that can have long-term positive effects. As for the sanctions you mentioned, and how we are going to overcome today’s situation, I would describe the current state of affairs by saying that it is not any kind of catastrophe for us. We feel that we must achieve several goals; they are less ambitious than the ones we set several years ago, but I very much hope that this will be a different quality – a better quality – than we had in previous years. Here is what we want to achieve: first of all, we want to ensure our economy’s growth in the short term, over the coming years, at the global average level, which is about 3.5 percent. Second, it is imperative for us to achieve annual labour productivity growth of 5 percent. And third – this is a very important indicator – we must bring inflation down to 4 percent. This is what we must strive for – absolutely, through a coordinated and balanced macroeconomic and budget policy. All the trends we are currently seeing in our economy allow us to assert that these goals are absolutely realistic and we will reach them soon. At the same time, we would naturally prefer not to respond to the destructive actions that some of our partners are attempting to impose – and which they are imposing at a loss to themselves. There have been various calculations among our European partners; some have said that European manufacturers are losing around 40 to 50 billion; now, the most recent reports I saw and heard from Europe say that European manufacturers may suffer losses of up to 100 billion. Our trade with Europe has dropped by nearly a quarter. Meanwhile, trade with your country, the United States, has grown by 5.6 percent. Our commodity flows from EU countries to the Russian Federation have decreased somewhat, and import has nearly halved; it used to be just under $30 billion, and now it is slightly over $15 billion. At the same time, if we look at the trade structure, with the increase in trade with the United States, imports from the US have increased by about 11 percent. Overall, we can certainly say that this does not balance out the losses in cooperation with Europe, but I am confident, I know for certain, that nobody wants any losses at all, in the sense that Russia is experiencing a recession and many experts in Europe – not Russian experts, European ones – are talking about stagnation. So if we want to create absolute growth in the global economy, in Europe, in Russia and in general, then we certainly need to eliminate various sanctions, especially unlawful ones imposed outside the framework of the United Nations, and work together. I have already stated how we are going to do that. We will broaden economic freedoms, this is a key element; we will ensure a competitive jurisdiction and work on our human resources and improving management systems. Charlie Rose: On my right is Heinz Hermann Thiele, Knorr-Bremse chairman of the supervisory board. We were just talking about sanctions and import substitution. What do you think are the risks and opportunities? What could you say in this regard about Russia? How do you see the situation from a Western point of view? Supervisory Board Chairman of Knorr-Bremse Heinz Hermann Thiele: I doubt I can present the European point of view here, because you know, many countries on the continent hold different views. I can only speak for myself personally and I can share my view of the situation. I have always been against sanctions and I still believe they are wrong. I am not the only person in Germany who holds this view. I support President Putin’s statement: it is time to bring the sanctions to an end. I hope that now everyone in Europe has seen that Europe itself has suffered from the sanctions, and very significantly. If we look at the statistics from 2014–2015, the last two years, exports from Germany to Russia have dropped by 50 percent. I am not counting our subsidiaries which are working in Russia – and we have many of them – incidentally, they are working quite successfully in manufacturing and transport; we have excellent experience in cooperating with Russian partners. Coming back to the situation in other European nations, look at Italy: Italy has lost only 10 percent of exports compared to the indicators for last year. So the situation is not as bad for them. In other words, the effects for different European nations also differ. Their interests vary as well. In this respect, I cannot say that we have common interests. Common decisions are made at the political level, but one way or another, regardless of the motivation, these are wrong decisions. We must understand that Russia, in implementing its policy of turning to the East, is taking an absolutely logical step, because the East can offer Russia a great deal. We should not forget that we Europeans, we Germans – my company, I have a medium-sized company – we are working on the international arena, we have great relations with, for example, the Chinese. We have excellent joint business, and we very much like working with them. Why shouldn’t Russia do the same? To some degree, it is tragic that we have pushed Russia in that direction through the sanctions. We need to leave the sanctions behind. But all nations should have the opportunity to make independent decisions on where it is best to develop partnerships: in the West or the East, it does not matter. We are in favour of global development – peaceful development, I should add. Unfortunately, at this time, we cannot say that we are satisfied with the situation in either aspect. MINSK AGREEMENT TIME FOR EUROPE TO REIGN IN UKRAINE!